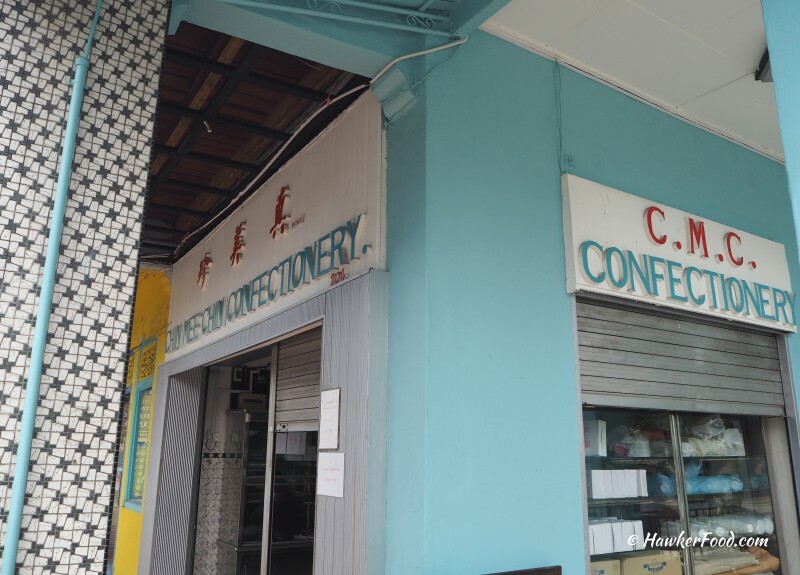 I am pretty sure many of you have visited Chin Mee Chin Confectionery located in Katong along East Coast Road. Some visit for their food and some like me visit it for an escape. An escape from Singapore’s relentless pace what else…. Shops like this are slowly disappearing from our lives. We will always have nostalgic feelings whenever we step into an old-school eatery or building because we miss the charm that we once experienced in our younger days. 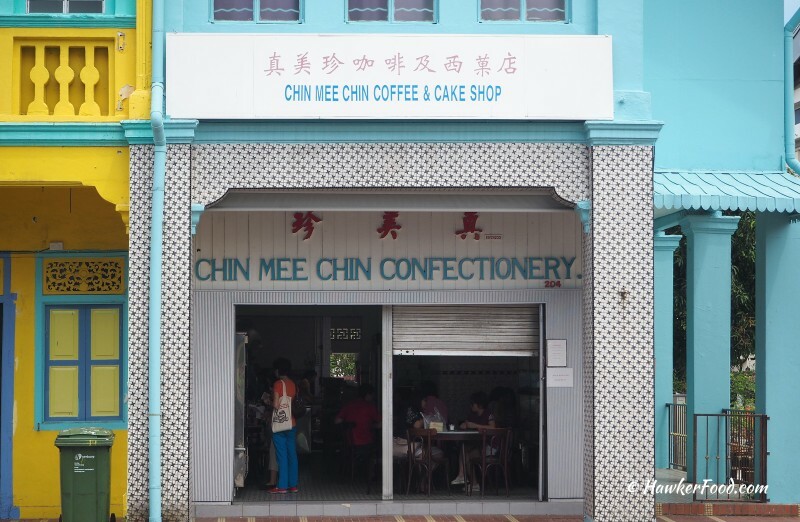 Chin Mee Chin has been in the confectionery business for more than eighty years. The interior transports you back to the good old days. Their retro floor/wall tiles, ceiling fans and vintage coffee shop style slant legged wooden table with marble top give you that old-school feel. Not to mention the electrical wall clock that every Singaporean household had/still has. 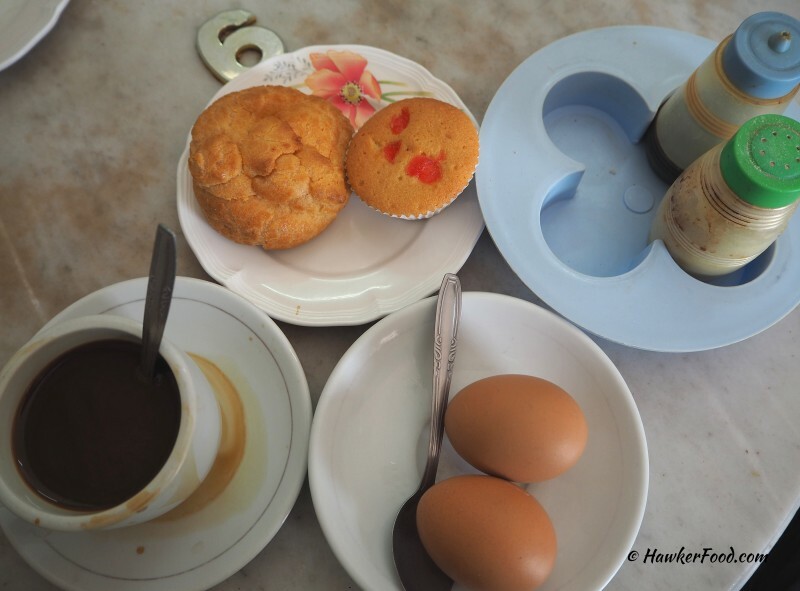 It was 2.45pm and close to their closing time at 3.30pm when I placed my order of a coffee, two soft-boiled eggs, one custard puff and a cupcake at the counter for a total of $4.90. If you would like to try their popular kaya buns, it is advisable to come early in the morning as they sell out pretty fast. While seated here, I noticed many patrons with smiling faces chit-chatting with each other while dining on Chin Mee Chin’s confection. I shared a table with an expat and he talked about the design and decor of Chin Mee Chin which resembles a 60s coffee shop in his hometown. When my order came, I continued to chat with him as well as taking various photos of the interior and the food. It must have taken me ages before I finally settled down to eat. Well, my soft boiled eggs became semi-boiled eggs after I dilly-dallied too long. 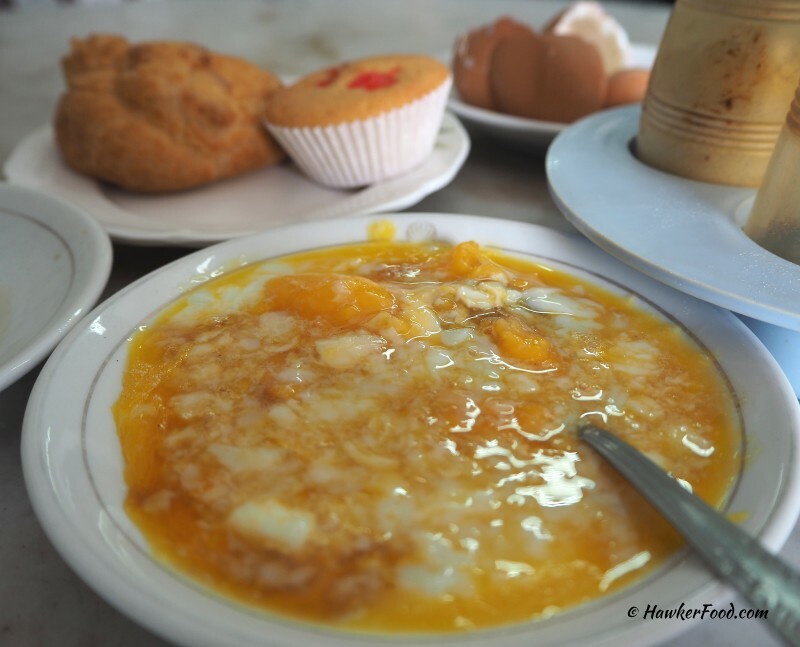 Till this day, I still enjoy the process of cracking the eggs, mixing them with soya sauce and pepper before slurping them down my throat. 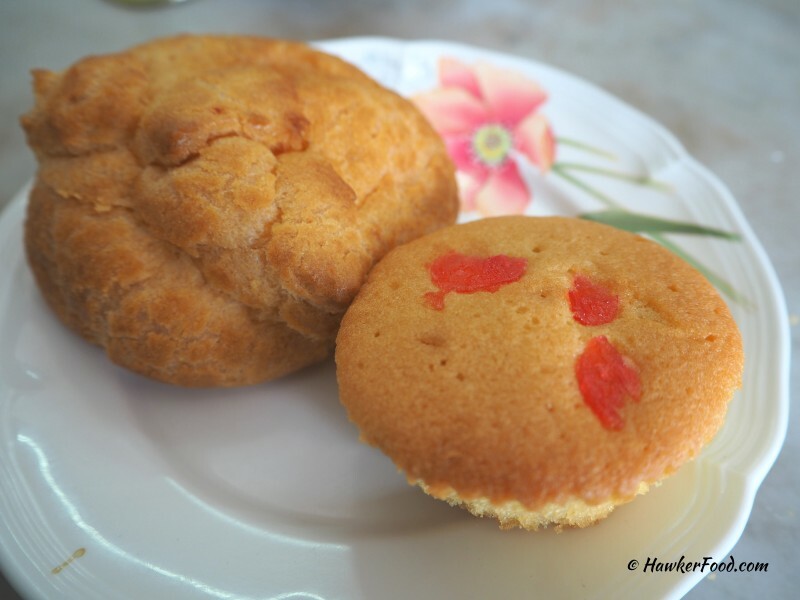 I just find cute little puffs and cakes like the above lovely. 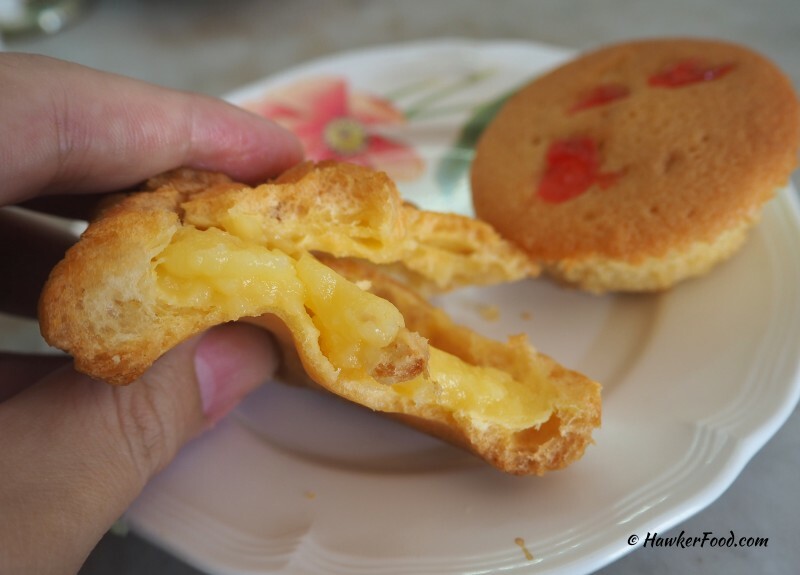 They reminded me of my primary school days experience of buying custard puff at my school tuck shop for the grand price of $0.20. $0.20!!!!!!!!!!!! What can $0.20 buy you these days? To top up for the take-away box I guess. 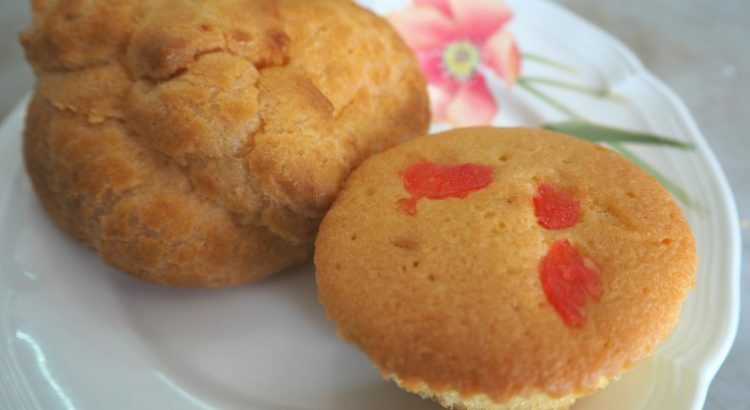 Sweet is the word, sweet is also the feeling as you spend time here to reminisce your younger, naive days. Come here for the ambience to soak in the atmosphere and have simple comfort food to go along with your mood.